Make sure to conatantly track search phrases statistics for your online-store. If your customers are looking for goods you don't have, that's a reason to make your stock bigger. If users misprint a product's name, that's a reason to add misprinted phrase to key search words. Search suggestion, Quick find, Instant search, Ajax search, Live search - all these are the names for CS-Cart module which allows your clients to search for products with the help of simple search form and get instant result due to Ajax technology. Our module has an additional system of caching for supplying a higher speed response.  Besides our module sends request only after the client enters a fixed number of symbols in the searching box which allows you to reduce considerably your server load. You can make sure in module’s high-speed response on demo with 35 000 products on 26 languages specially created for testing. Various templates to display search field (rounded corners, underlined field, overlay and animated effects, option to show field in dropdown). Includes sorting of displayed search results according to priority of fields in the database. Allows to look through the history and frequency of search request. Uses additionally built-in caching system. Uses the field weight system to realize the relevant search. Update automatically cache when changing product information. Uses the Ajax-technology and send only one request after the customer finishes entering search phrase which considerably reduces the server load. Tested on the store with 35 000 products that are translated in 24 languages (this means 840 000 entries in database table “product_descriptions”). Allows to set up waiting time before the search itself. Allows to use stopword to prevent finding unwanted results. Search by product options (parameter words), product features, categories and subcategories, short description, full description, keywords, product code. Allows to customize the external view of the block with search results: limit number of found products, customize the product image, show/hide Ajax downloader, show/hide product code, show the button “Add to the cart”. Divide the work of button “Add to the cart” in the results window of quick search. For products with options it opens the quick view panel, without options it adds product the cart straightway. Shows tooltip formed on the base of product's categories and their features. > Can i search only by product name? Can i search only by product name?